BSNL JAO Admit Card 2017: Bharat Sanchar Nigam Limited (BSNL) has released the admit card for Junior Accounts Officers(JAO) recruitment examination 2017. The exam is scheduled to be held on 5th & 6th November 2017. candidates who have registered for the BSNL JAO exam can Download their admit cards or hall tickets now itself from the official website i.e., externalbsnlexam.com. DIRECT RECRUITMENT FOR THE POST OF “JUNIOR ACCOUNTS OFFICERS (JAO)” IN BSNL ADMIT CARDs: The online registration shall commence from 11-09-2017 and shall close on 15-10-2017. The prescribed examination fee of 1000/- (Rupees One thousand only) for OC/OBC candidates and of 500/- (Rupees Five Hundred only) for SC/ST candidates shall be paid through online mode. The direct recruitment examination will comprise of questions from subject-1 general English (100 marks) and general aptitude/ awareness (50 marks) for 3 hours and subject-2 financial and commercial accounts (300 marks) for 3 hours. The question paper will be short answer or objective type. The standard of financial and commercial accounts paper will be postgraduate level. Candidates in their interest are advised to refer to the BSNL examination website (www.externalexam.bsnl.co.in) from time to time for any further instruction/information. Bharat Sanchar Nigam Ltd. (BSNL) will recruit about 996 Posts of Direct JAOs (Junior Accounts Officer) from open market/external candidates through ONLINE COMPETITIVE EXAMINATIONS-2017. Wide publicity in this regard has been given through the indicative advertisement by all the Telecom Circles on 10th Sep 2017 and through www.externalexam.bsnl.co.in. The detailed number of vacancies for the said Posts of DR-JAO(Junior Accounts Officer), are detailed provide in their website. scale of pay as per the announcement is 16,400 – 40,500/- with annual increment , 3% of basic pay plus IDA, HRA, Perks, Medical Benefits, etc. admissible as per BSNL Company rules. Selected candidates will be determined as per prevailing rules of the Company from time to time. The willing candidates shall be permitted to apply only for one Circle in which he/she desires to serve, consequent upon his/her selection. Choice of Circle once exercised shall be final.) 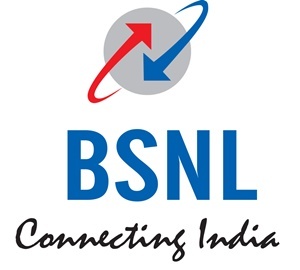 The candidates selected shall execute a Bond in the format as specified by the Company to serve in BSNL for a period of 05(five) years from the date of their appointment as JAO. select to Download Admit card option. you will get the Admit card after entering the registered details. now save it and a copy of Admit card for further use. Some of the candidates who are having the Doubts about Junior Accounts Officers(JAO) recruitment exam can consult through phone and can clear your query. Here we are providing you the Phone details the applicant may contact 0112335249.